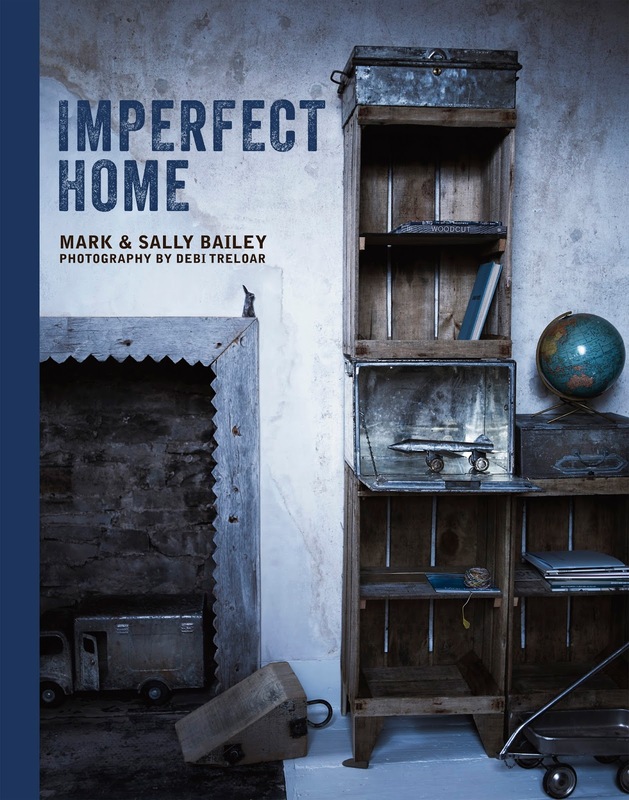 Embracing the imperfect is something Mark and Sally of award winning homeware store Baileys Home, have developed impeccably. 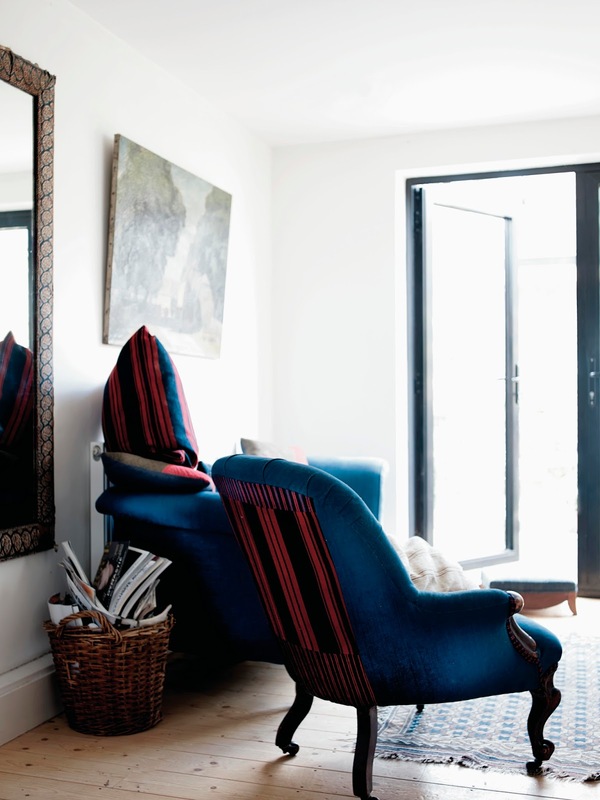 Their use of vintage fabrics and time worn colours, create beautifully unusual and modern interiors. 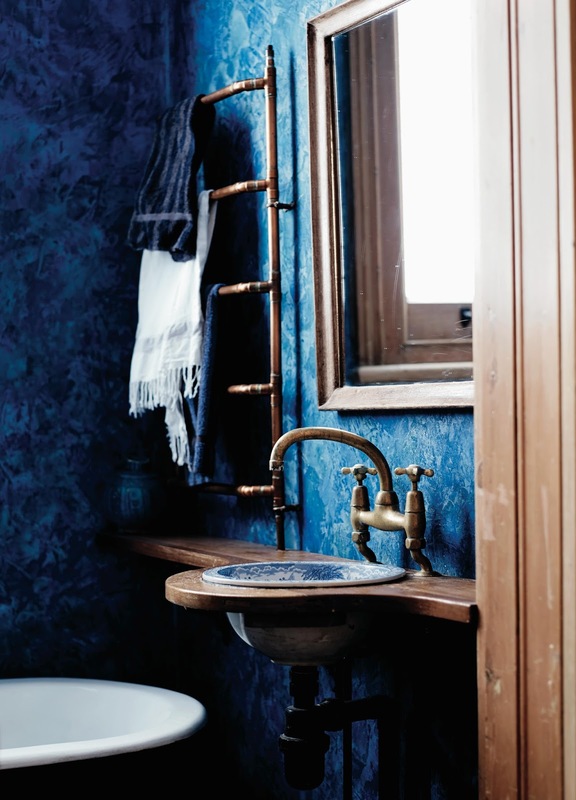 Naturally derived colours also sit well with the hues found in industrial materials: This downstairs cloakroom has an original Victorian basin and taps. The towel warmer hanging on the ultramarine polished plaster walls, is made from old copper plumbing pipes. Natural dyes are often mistakenly associated with a dull, washed out appearance. 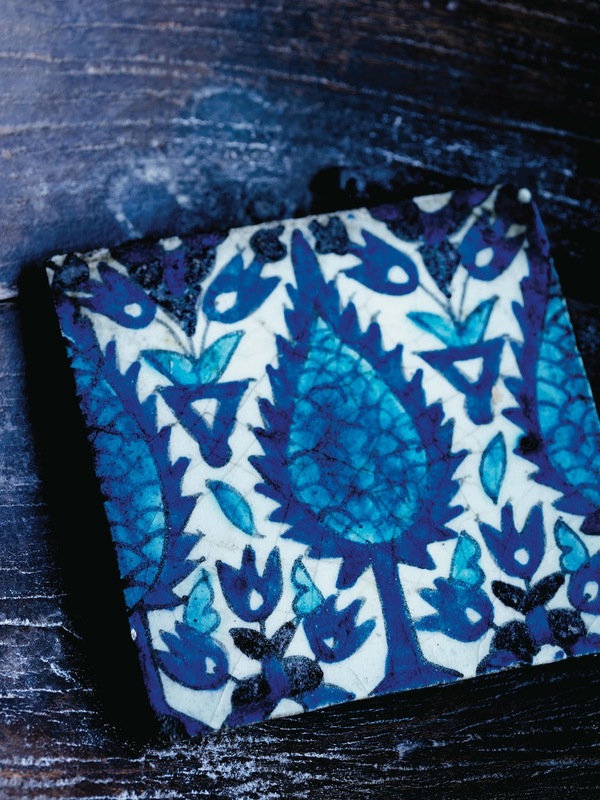 But plant derived indigo is a rich opulent shade of blue, that can transform an interior into an inky haze. Old utility and work clothes that have been battered and patched up over the year, make distinguished objects to display in any home. Try tie dying some old throws, or even kitchen cloths. 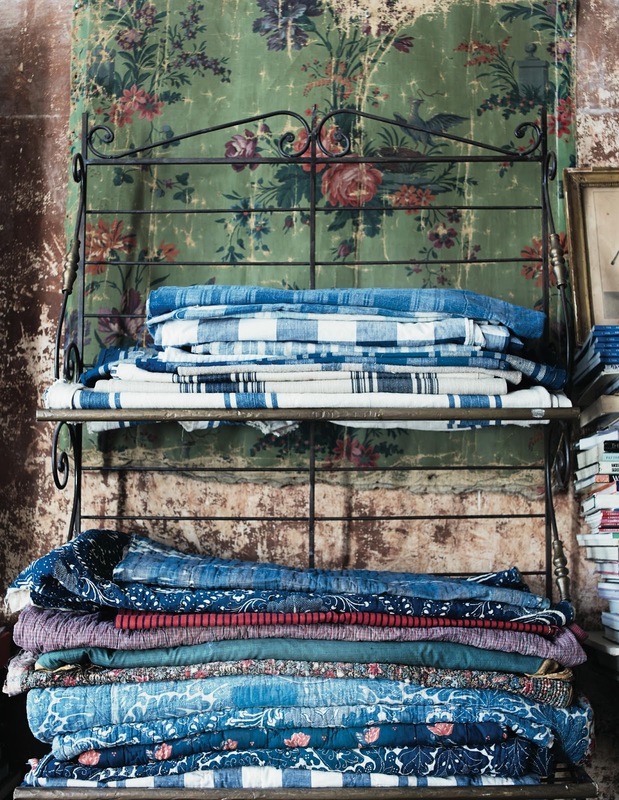 Stacking throws, and vintage textiles is a beautiful way of displaying pieces collected over the years. Here they have been laid out on an old patisserie stand. This sofa and antique chair have been reupholstered in 1970s denim and backed with a bold 19th century stripe. 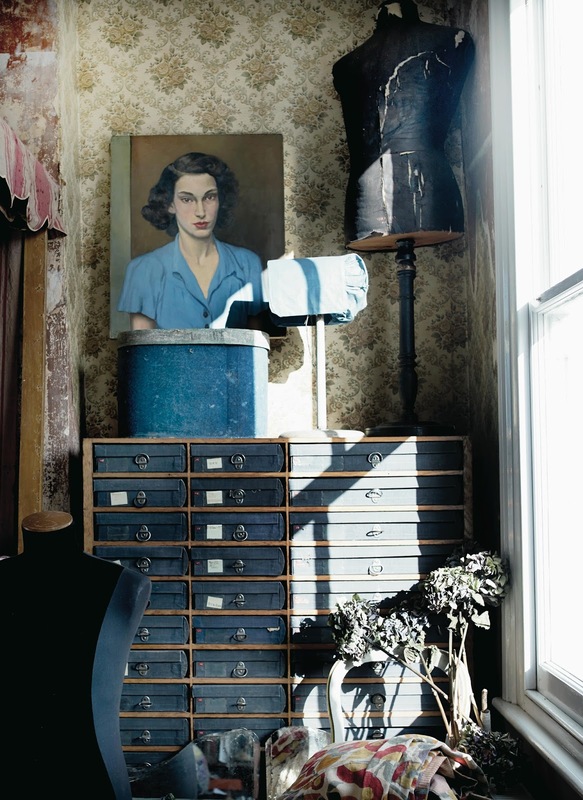 Antiques dealer Katherine Pole specialises in French textiles, a fact that is very clear on a visit to her North London home, which is packed with her fabric finds. Katherine says she was sold on the place the moment she saw the peeling wallpaper upstairs, which was half stripped away to reveal the mottled plaster beneath. 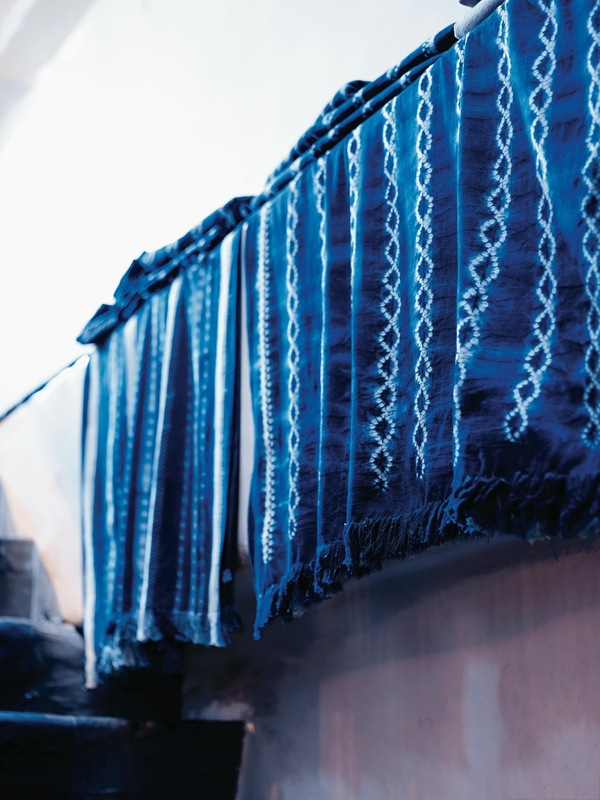 The abundance of textiles, many of them patched and frayed, makes a significant contribution to the feeling of a well-lived-in home, adding warmth, colour, pattern and texture all in one go. 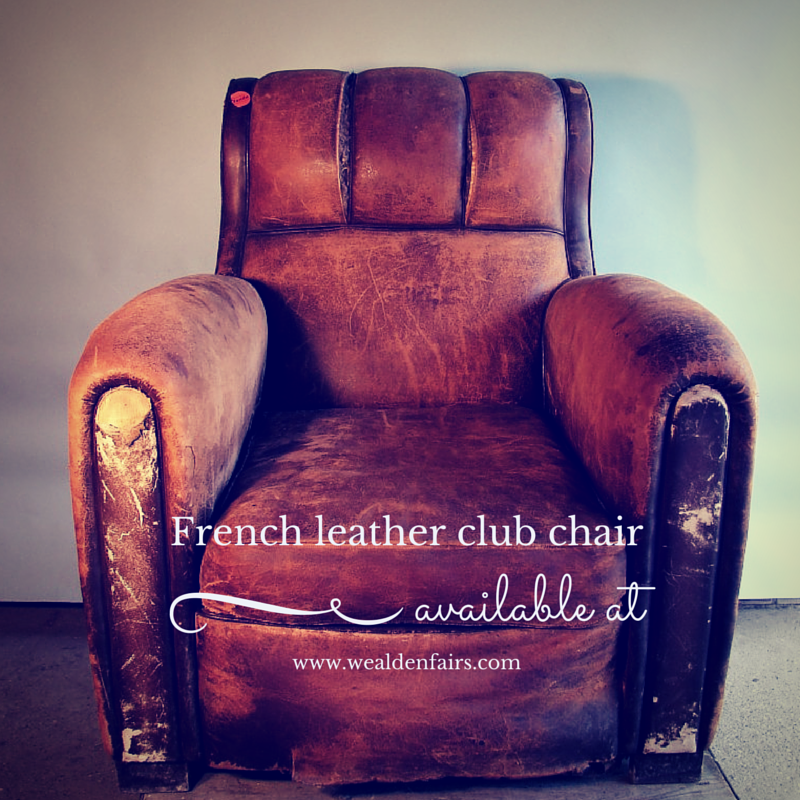 Get started at www.wealdenfairs.com for some inspiration!